Card companies are always keen to give access to credit but eligibility criteria makes it tough for many to avail the opportunity. Whether you are self employed or salaried, income plays a key factor in approval. And individuals with low income are always deprived of credit although they need it the most. However remember that, income is never the only deciding factor but is the most important factor. Listed below are the credit cards for individuals earning minimum Rs. 20,000 per month i.e. Rs. 2,44,000 per annum. Typically banks ask for net income i.e. how much money you make after taxes and other deductions. You can get add-on card for your family members. Joining and annual fee is Rs. 400. It is a lifetime free credit card. Primary card holder can apply for add-on card. 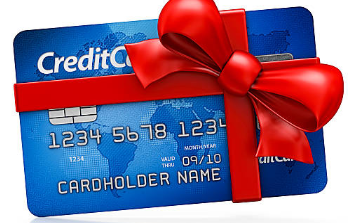 Free credit period from 20 days to 50 days. Cards are issued for 5 years. Minimum card limit is Rs.25,000 and maximum of Rs. 25,00,000. However remember that income is just one of the eligibility factor for all of the above listed card issuing banks.